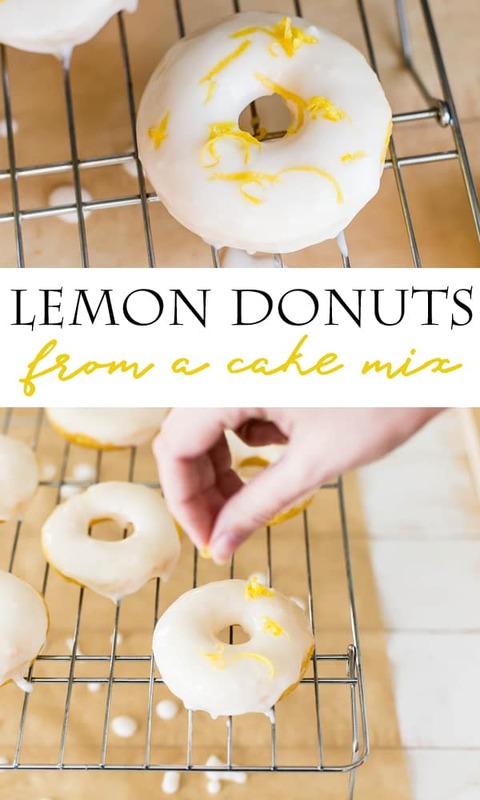 These Lemon Cake Mix Donuts are perfect for Spring and they are such an easy donut recipe! 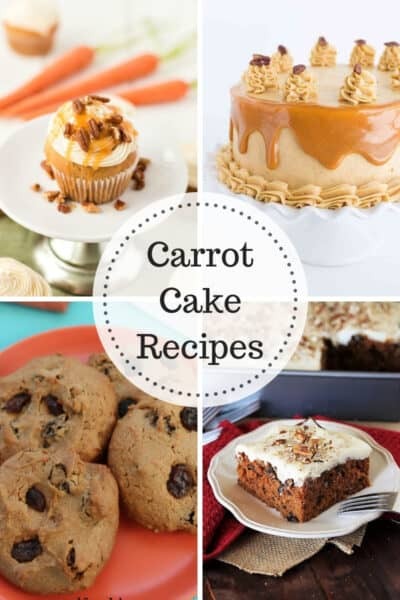 I’m on a kick lately making recipes using cake mix. I usually have a couple on hand, so it’s always fun to take a simple cake mix and make something different than the typical cake. 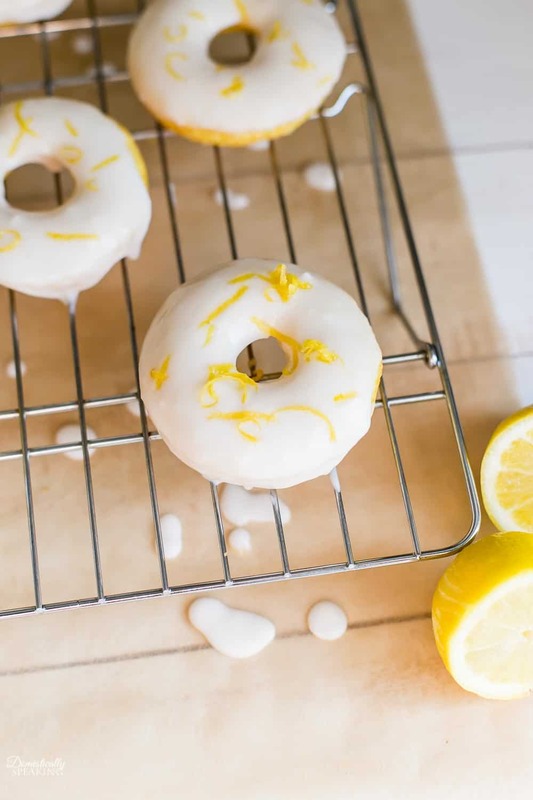 If you love lemon desserts, then you’ll love these lemon donuts! I just love lemon desserts when the weather gets warmer. 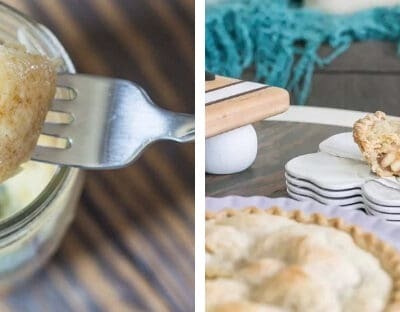 These lemon doughts are baked in the oven and then have a glaze on top with a light lemon flavor, plus I added some lemon zest on top. Cake mix donuts are so easy to make. You can use almost any cake mix you like, the ratios are simple. 1 box of cake mix (around 16 ounces) – if less, like my lemon mix, add a couple of tablespoons of flour. Combine and follow the detail directions below to make any cake mix donut you like. 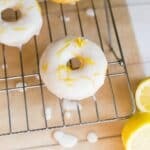 Easy to make - Lemon Cake Mix Donuts are delicious! 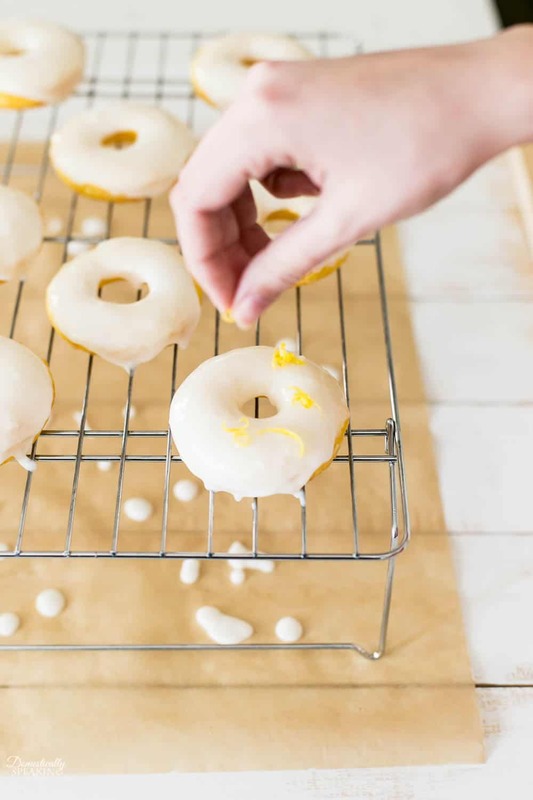 Add some lemon zest to these Lemon Cake Mix Donuts just takes them to a whole new level. Preheat your oven to 350 degrees. Spray your donut pan with non-stick cooking spray. Add your cake mix and flour to a bowl. Mix to combine. Add the egg, oil, and water to the bowl and mix to combine. I scoop my batter into a large Ziploc bag, seal and snip one of the bottom corners off. Slowly pipe the batter into each cavity on the donut pan, filling each cavity 1/2 full. Place the donut pan in the preheated oven and bake for 14-16 minutes, until the donuts are firm to the touch. 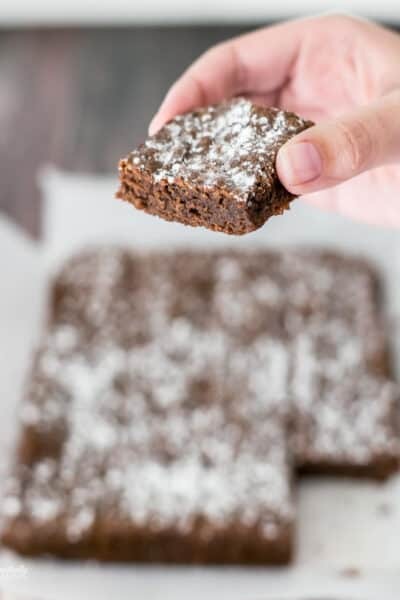 Let them cool in the pan for 5 minutes before moving to a cooling rack to finish cooling. In a bowl, combine the powdered sugar, melted butter, milk, and lemon juice until smooth. Once the donuts are completely cooled, dip the top half of the donut into the glaze and immediately sprinkle with lemon zest (if desired). 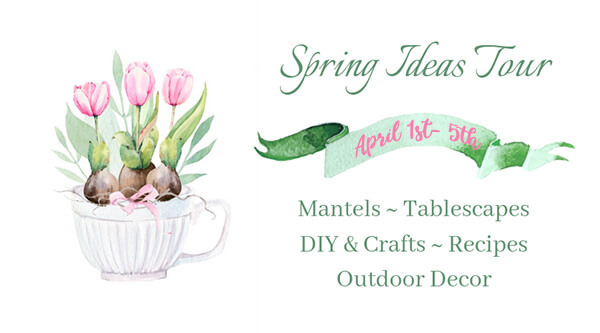 Now I’ve joined with some blogging friends to share all sorts of wonderful Spring things… check them out below. And if you love cake mixes here are a few others. Yum! Love everything lemon…and donuts! I love the sweet and sour combo of lemon desserts in the springtime! 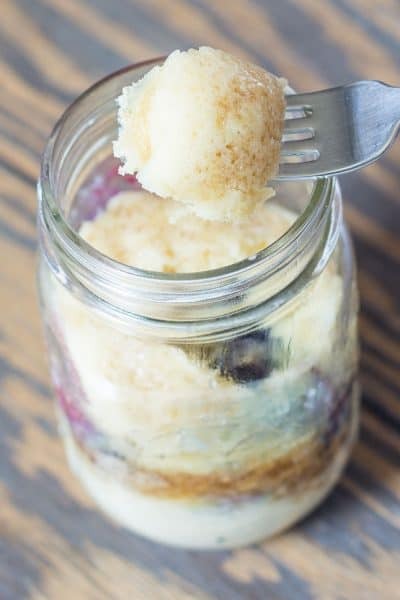 Added this to my Recipes to Try Pinterest board! Yum! Lemons and donuts all in one sounds like a dream. And the fact that they’re made from cake mix definitely makes them a winner in my book. Can’t wait to try these. 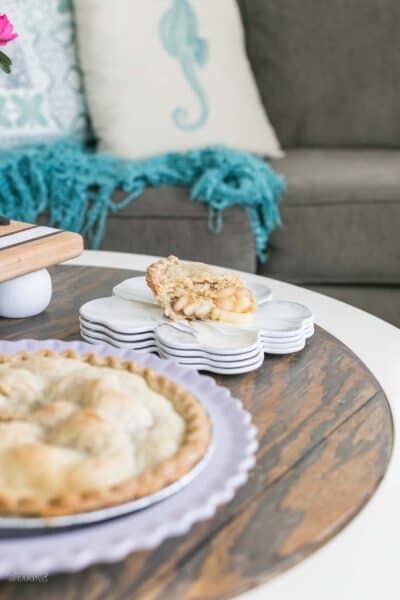 Thanks for joining the tour and sharing this recipe! My 12 year old son just started getting into having and the only thing he wants to make is donuts! 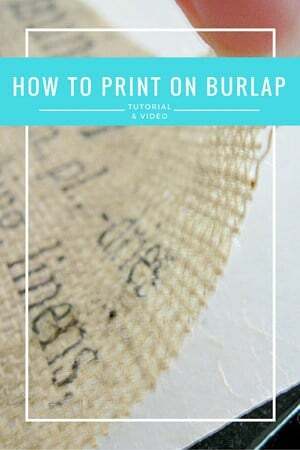 I’m going to share this with him and see if he’ll make them! They sound delish!! Yippee! More recipes to use my donut pan! Like you, I love all things lemon…especially this time of the year. 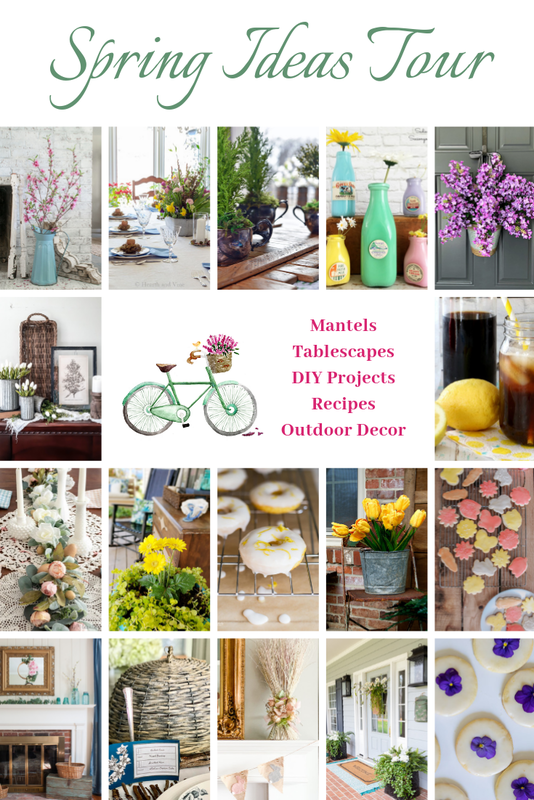 Thanks for the Spring Inspiration. I love using cake mixes to bake other things! These look so yummy, I need to try them!! Oh wow! These look and sound amazing. I can’t wait to try them. You make it seem so easy and I love the idea of a lemon donut. Yum! Yum! Your donuts look amazing and I’ll bet that they taste delicious.